Town and City Clerks of Massachusetts, Massachusetts Vital and Town Records, Provo, UT: Holbrook Research Institute (Jay and Delene Holbrook), , Boston > Marriage Publications, 1837-1841 Dol 13 > 266. Town and City Clerks of Massachusetts, Massachusetts Vital and Town Records, Provo, UT: Holbrook Research Institute (Jay and Delene Holbrook), , Boston > Boston Deaths, 1801-1848 > 356. 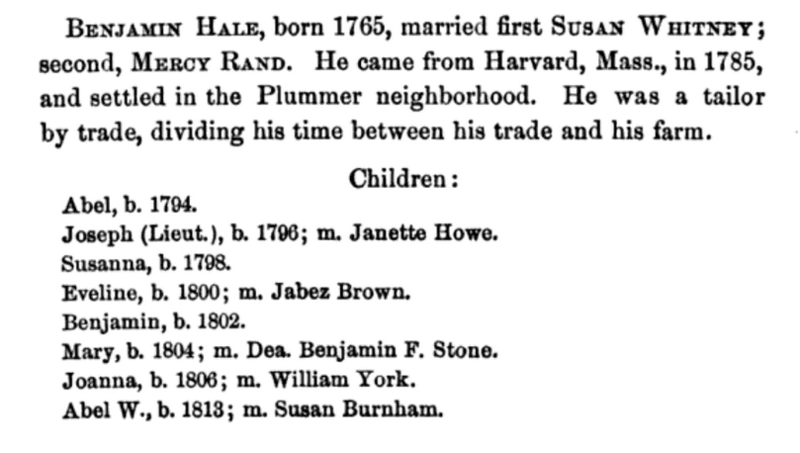 "Massachusetts, Births and Christenings, 1639-1915," index, FamilySearch (https://familysearch.org/pal:/MM9.1.1/FH59-67S : accessed 29 Nov 2012), Susan Eliza Howard, 25 Sep 1851; citing reference IN180 p11, FHL microfilm 482889. 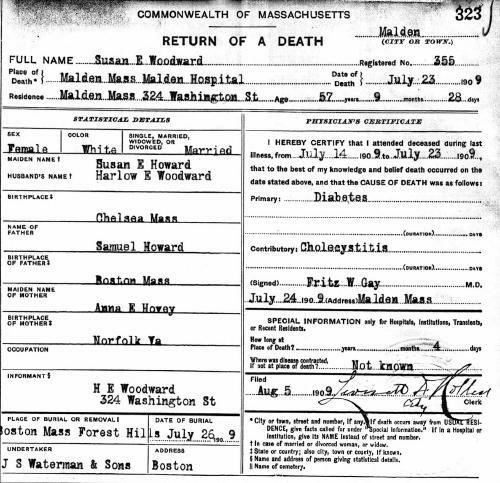 Susan Woodward [obituary], Boston Transcript, Boston, Mass., July 24, 1909, 24 July 1909. Boston Transcript, July 24, 1909. 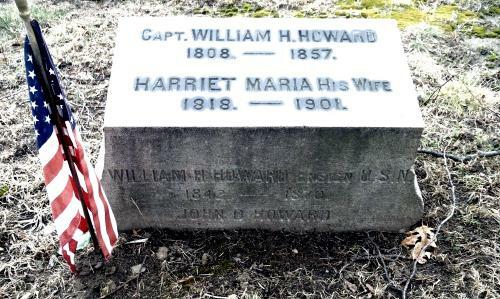 William Howard was born perhaps about 1746. Capt. William Henry Howard was born on December 23, 1806 in Boston, Massachusetts. 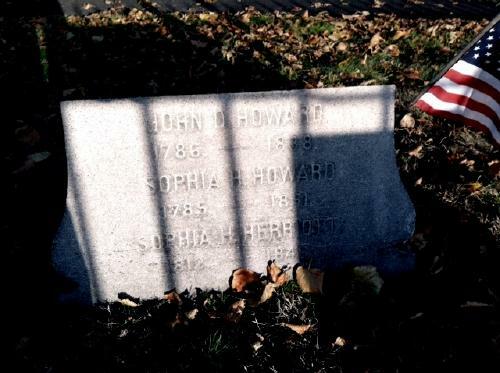 He was the son of John Day Howard Jr. and Sophia Hinckley. 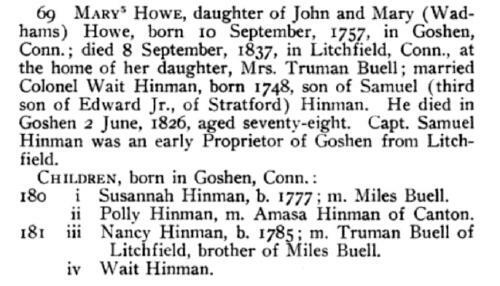 [male] Howard was born perhaps about 1788. 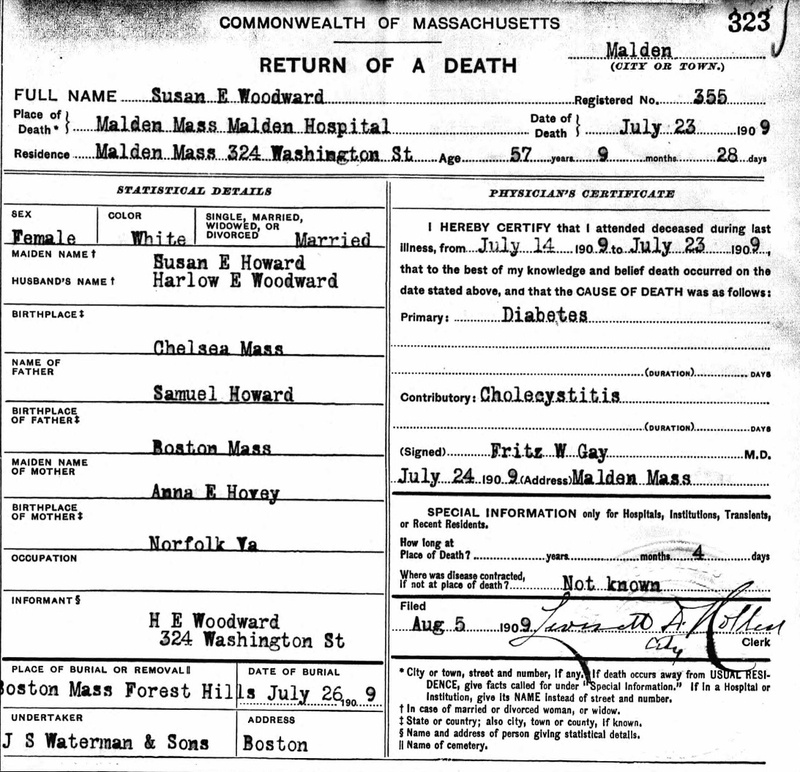 "Massachusetts Deaths, 1841-1915," database with images, FamilySearch (https://familysearch.org/pal:/MM9.3.1/TH-267-11838-42508-73?cc=1463156 : 20 May 2014), 2396424 (004283293) > image 961 of 2108; State Archives, Boston. Betsy married John Estes Farwell on May 12, 1838 in Waterford, Oxford County, Maine. M. V. B. Perley, "James Howe of Ipswich, and some of his descendants," The Essex Institute Historical Collections, Vol. LIV (1918): p. 162 and 175, no. 258. COLBY FAMILY & OTHERS, at http://freepages.genealogy.rootsweb.com/~colby/colbyfamciting FHL Film: 0818093-0818095; Early Vital Records of Suffolk County, Massachusetts to 1850 for Boston. "James Howe of Ipswich, and some of his descendants", p. 175, no. 258. Find A Grave Memorial# 77722506. 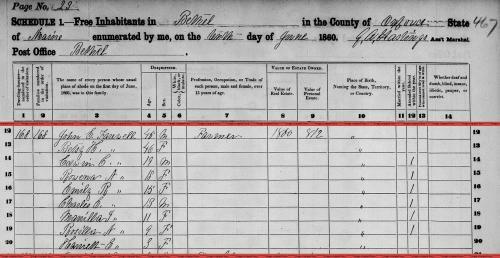 Janet Howe was born on November 3, 1803 in Waterford, Oxford County, Maine, daughter of Moses and Elizabeth Howe. Janet died on March 23, 1884 in Waterford, Oxford County, Maine, at age 80. 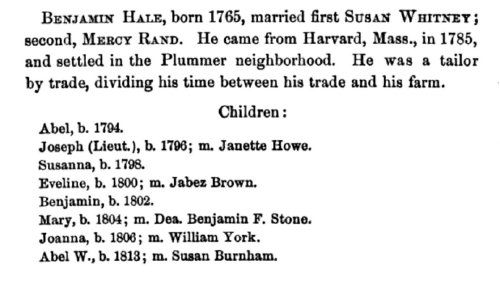 Cyrus Felton, A genealogical history of the Felton family: descendants of Lieutenant Nathaniel Felton, who came to Salem, Mass., in 1633, Marlborough: Pratt Brothers, (1886) , p. 94. Find A Grave Memorial# 77712069. Jordan, Liahona Research, comp. Dodd, Massachusetts Marriages, 1633-1850 [database on-line], Provo, UT, USA: The Generations Network, Inc., (2005) , Family History Library, Salt Lake City, UT, Film # 0844943 item 2. 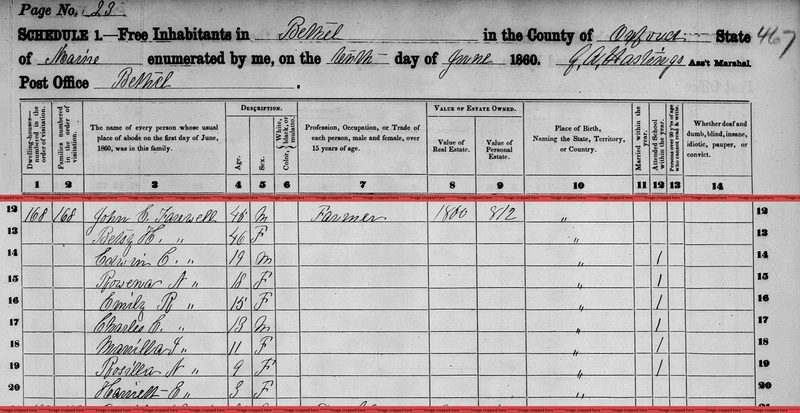 "New Hampshire Birth Records, Early to 1900," database with images, FamilySearch (https://familysearch.org/ark:/61903/1:1:FLG7-D5V : 12 December 2014), Betsy B Hoyt, 07 Sep 1827; citing Newton, Rockingham, New Hampshire, United States, Bureau of Vital Records and Health Statistics, Concord; FHL microfilm 1,001,007.